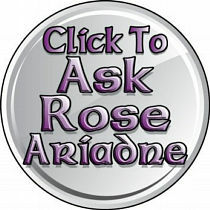 Part of the Wiccan Rede – arguably the most important part – is to harm no other. Unfortunately, too many people seem to take that only in a physical sense, as opposed to all of the other ways in which we might bring about harm. Free will, the ability to make our own decisions, be they for weal or for woe, is a gift – one of the most precious gifts we have been granted. Thus, if we were to take away the gift of free will from others, we are, without a doubt, doing them harm and thus breaking the most sacred of our tenants in the process. So, whether you like hearing it or not, there is not some quick fix method for changing the minds of those around you. If you want to effect a change in them and the way in which they are behaving, then you are going to have to do it the old fashioned way – which entails sitting down and talking with them about the problems and seeing if you can perhaps reach an amicable solution to whatever the issue at hand might be. To do otherwise would fall into the realm of black magic… and I have no truck with that or with those that would even entertain the notion of using it.